What is the Cold Chain? Results 1 to 25 of 53. Support women in the cold chain with this custom T-shirt. This is a grey heather, fitted women's baseball t-shirt with cap-sleeves. Materials: 38% cotton, 50% Polyester, 12% Rayon. 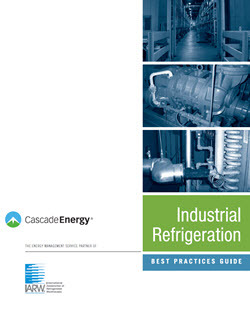 Learn how to conduct a thorough and successful accident investigation with this helpful white paper. 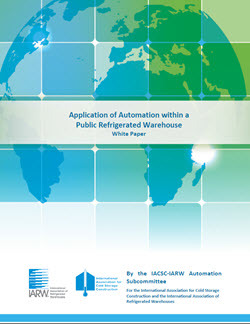 This is the cold chain industry’s chief resource for scientific information on the storage and handling of perishable goods with information on storing almost 300 different temperature-controlled products. Explore oxygen reduction technology for fire prevention. 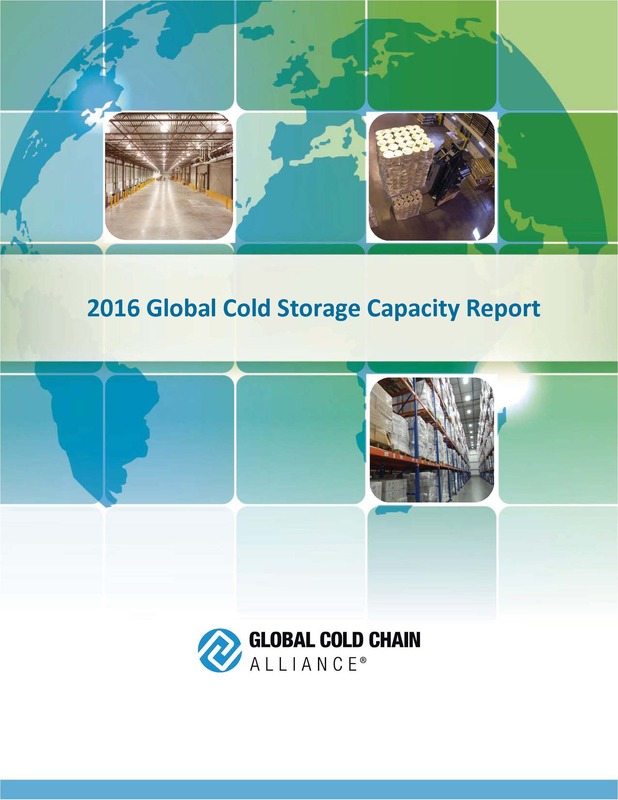 The Global Cold Storage Capacity Report provides worldwide cold storage industry growth trends, market development indicators, and market comparisons. Esté preparado para lo inesperado y aprender a hacer frente a cualquier crisis en esta guía, que cubre los planes de respuesta de emergencia, derrames de amoniaco, y relaciones con los medios. 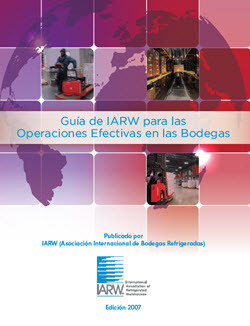 Aprenda acerca de las mejores prácticas en logística de la cadena de suministro y operaciones de almacén con secciones sobre la seguridad, el saneamiento, los costos y las políticas. 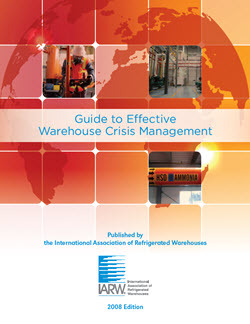 Be prepared for the unexpected and learn how to cope with any crisis in this guide, which covers emergency response plans, ammonia spills, and media relations. Learn about best practices in warehouse supply chain logistics and operations with sections on safety, sanitation, costs, and policies. The Injury and Illness Prevention Program reference guide can help you understand state requirements for injury and illness prevention programs, workers’ compensation premiums, and drug free workplace polices, and drug testing. 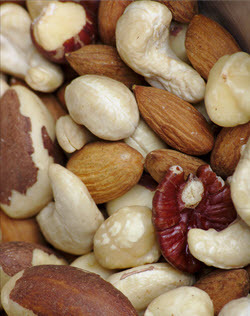 The WFLO bulletin “Handling and Storing Food Allergens in PRW’s” by Dr. Michael L. Jahncke and Dr. Donald V. Schlimme outlines the key components of an allergen program for a warehouse. 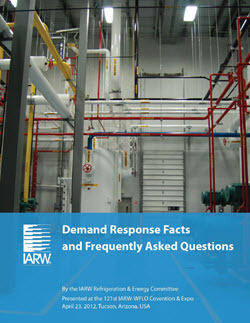 The bulletin is available under member resources. Conduct your own hazard analysis with these tables that present common warehouse activities and then assess the consequences and likelihood of each hazard. 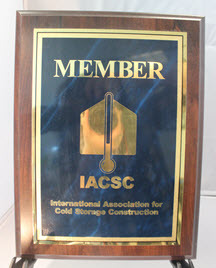 This handsome plaque is a perfect way to display your commitment to excellence as a member of IACSC. The wooden has a metal, golden sheet embossed with the IACSC logo on a blue marble background. The plaque has holes on the back for easy hanging. Dimensions: 9x12 inches (23x30 cm). 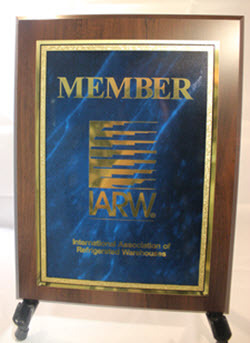 This handsome plaque is a perfect way to display your commitment to excellence as a member of IARW. The wooden has a metal, golden sheet embossed with the IARW logo on a blue marble background. The plaque has holes on the back for easy hanging. Dimensions: 9x12 inches (23x30 cm). 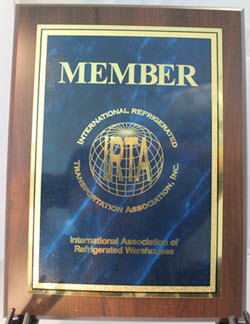 This handsome plaque is a perfect way to display your commitment to excellence as a member of IRTA. The wooden has a metal, golden sheet embossed with the IRTA logo on a blue marble background. The plaque has holes on the back for easy hanging. Dimensions: 9x12 inches (23x30 cm). Learn about viable alternatives to the high ammonia charge pumped recirculated liquid system typical found in most temperature-controlled facilities. 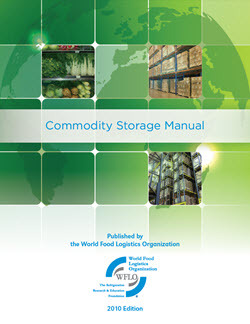 Get access to a library of cold chain and professional development courses and a learning management system. One license per user. Prorated by quarter. Expires on December 31 of current year. There is 0 item(s) in your cart. Please login to see your wish list or add items. 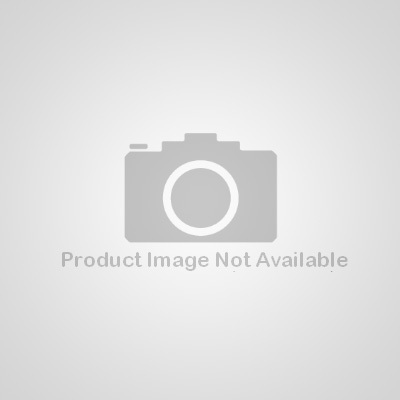 web design and development by new target, inc.